(Length: 1 3/8″ – 2 1/8″) One of the groups commonly referred to as “Palmetto Bugs”, the American Cockroach is the largest of the roaches infesting homes. It has reddish brown wings and is a good flyer. (Length: About 1/2″) Like subterranean termites, Formosan termites feed on cellulose material (i.e. wood), but they are more aggressive and attack wood at a much faster rate. (Length: 1/2″ – 5/8″) This roach, with two dark vertical stripes behind the head, is found throughout the world, thriving wherever man lives, eating the same foods, sharing the same habitats. It is commonly found in restaurants, kitchens and stores where food, moisture and harborage are abundant. (Length: Up to 1/2″) This termite species does not live in the ground, but lives inside wood. They are most likely to be found in humid, coastal areas. Their colonies are much smaller than subterranean termites, and infestations found in wood are usually confined to a small area. (Length: 1/8″ – 1/4″) Usually a reddish brown color, fire ants live in colonies of up to 200,000 individuals. Their mounds can be two feet high and three feet across with as many as 50 colonies per acre. (Length: 1/12″ – 1/8″) Ranging from red-brown to grayish to black, this small ant gets its name from its characteristic erratic and rapid movement in search for food. They will feed on any household foods. 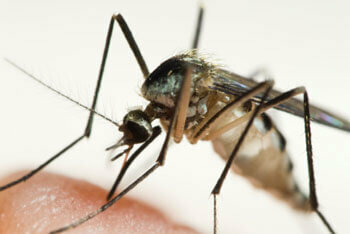 (Length: 1/8″ to 3/4″) Mosquitoes are insects that are found throughout the world. They are most commonly known for carrying diseases such as West Nile Virus (which can lead to Encephalitis), Malaria and Yellow Fever. Adult mosquitoes frequently rest in grass, shrubbery and other foliage, but they never develop there. (Length: 3/4″ to 1 1/2″) Earwigs were named by a superstition that the insect would crawl purposely into the ears of sleeping people. More easily recognized by its forceps-like tail appendage, the earwig is a major garden pest, as well as an annoying household pest. (Length: 1/3″ – 1/2″) These slender, wingless insects are common in homes. The are shiny and silver or pearl-gray in color with three long tail-like appendages and two long antennae. They may cause damage by eating foods, cloth or other items high in protein, sugar or starch. (Length: 1/32″ – 1/16″) Fleas are small, hard-bodied, wingless insects with a flattened body and legs adapted for jumping onto a host. The cat flea, most commonly encountered in Florida, seeks mammals for the blood meal needed to sustain them. (Length: 1/16″ – 1/2″) The tick is an eight-legged relative of the spider. It must feed three times before hiding and producing up to 3000 eggs in a crack or crevice.